Claus Sendlinger is the founder of Design Hotels representing a network of independently-owned, design-oriented hotels in 40 countries around the world. 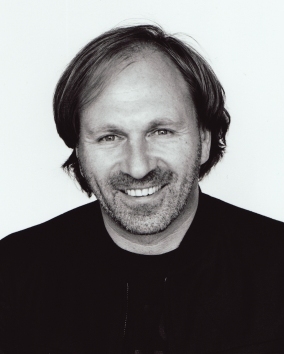 Born in Augsburg, Germany, in 1963, Sendlinger began his career in event planning, PR and travel. Eighteen years ago, back when design was a dirty word he predicted that travellers would not only soon be attracted to well-designed hotels, but would demand them;so he created Design Hotels to fill the void. In 2002, Condé Nast Traveler US named Sendlinger in their Top 50 list of world tourism experts, in the category of most creative and innovative international tourism entrepreneurs. He is still innovative, still creative and always inspirational so The Luxury Travel Bible names him: 'Most likely to think outside the square'. What inspired you to create Design Hotels? What is the single most defining thing about Design Hotels? 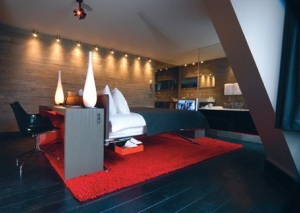 Design Hotels' USP is its expertise and authority within the fields of architecture, interior design and hospitality. We market and represent a hand-picked collection of more than 180 one-of-a-kind hotels. Every single one provides a unique hotel experience and reflects the vision of an independent hotelier - an "original" with a passion for genuine hospitality that is culturally rooted and enhanced by thought-provoking design and architecture. With tailor-made solutions and services we provide our member hotels the global exposure they need while preserving their individual identity. No other consortium has such a distinct profile and such a diverse portfolio. Yours is a select collection how do you find the properties you wish to include? Generally we look at the people behind the project and whether or not their ideas and visions fit with ours. It's not just the design that makes a property a good match for the Design Hotels brand; the hotel also needs to show it has the right personality. Architecture, design, service, gastronomy and lots of intangible qualities must come together like pieces of a puzzle to create a coherent picture. The staff and the guests obviously play a large part in that, because they give a hotel its soul. The architecture and interior need to provide the right element for these people to interact in, and when the right people come together in the right environment, the result is a fascinating place to be. Genuine craftsmanship is making a major comeback. Outsourced mass production is giving way to meticulously, often locally handcrafted pieces. 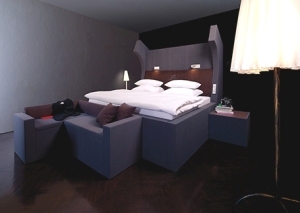 For instance, at our new member, Louis Hotel in Munich, guestrooms feature handcrafted furnishings like their custom-made 'Travelling Case Wardrobes' which are closets inspired by old-fashioned steamer trunks. These kinds of handmade goods are perfect precisely because of their imperfection. Hoteliers are also increasingly using local sources to find furnishings instead of buying them from design outlets. For instance, at Town Hall Hotel and Apartments, 70% of the furniture is vintage pieces collected from dealers and vintage shops. As our modern world grows in wealth, technology and knowledge, luxury becomes increasingly accessible, and increasingly commonplace. Yet, whereas once 'luxury' was a promise of quality and the uncommon, nowadays the burden is upon us to distinguish the products with real substance from those that are only pretty packaging. One good example of this is at one of Design Hotels' newest members, Sextantio Albergo Diffuso in Italy. The hotel's rooms are scattered across multiple buildings throughout a 16th-century hilltop village, once the home for shepherds and peasants. Everything remains true to the medieval origins, from the walls blackened over the years by the stoves to the restaurant serving dishes using traditional 16th century recipes. The experience created is totally one-of-a-kind and is the epitome of what luxury is - an out-of-the-ordinary pleasure which is hard to obtain. I know people that fly over from London in their private jets just for dinner at the hotel, served in the local church! I really admire what Joseph Dirand at the Habita Monterrey is doing, I believe that he will be one of the most talked-about architects in the next 10 years. Architecture is totally in his blood and his timeless style is not defined by an era. What is the new hotel opening you are most excited about this year (after May)? I'm excited about several hotel openings this year. 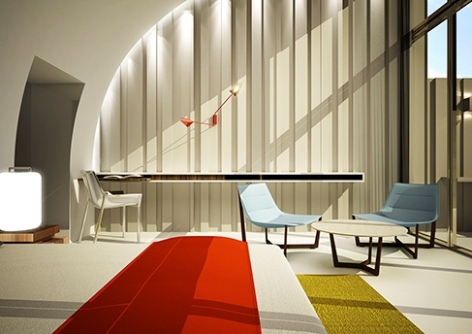 In London, Loh Lik Peng, owner of three other Design Hotels? members New Majestic, The Waterhouse at South Bund and Wanderlust, will be opening the aforementioned Town Hall Hotel and Apartments in London. Created in the old Bethnal Green town hall, this hotel will have wonderful period features including a sweeping marble staircase, glass-domed ceiling and large spaces, including the huge De Montfort suite which is 220m2 in size! Christophe Pillet and Shahé Kalaidjian from Hotel SEZZ in Paris have joined forces again and created an all-star team for a new hotel in the south of France, SEZZ Saint-Tropez. Architect Jean Jacques Ory has created a contemporary version of a small Provençale village with its collection of single-storey buildings that are airy spaces furnished with pieces designed by Pillet. The restaurant Colette is headed up by Pierre Gagnaire, a Michelin-starred chef known for being at the forefront of the fusion cuisine movement. I have no doubt that it will become a favourite among both locals and hotel guests. Another exciting opening on home ground is The Weinmeister, a cool new addition to the Berlin hotel scene from the owners of Lux 11. This hotel will have an envious location in the heart of Berlin, spacious rooms starting from 30 square metres and one-of-a-kind handmade furnishings, including lamps transformed from airbags! My routes are best served by the Star Alliance Network - Lufthansa, Singapore Airlines and Thai airlines. My iPhone, noise reducing Bose headphones and my Mac Notebook - I go everywhere with it because that's where I keep my music, my photos, films and my work files. My trip to Central Java at Amanjiwo watching the sun rise over the Borobudur monument.